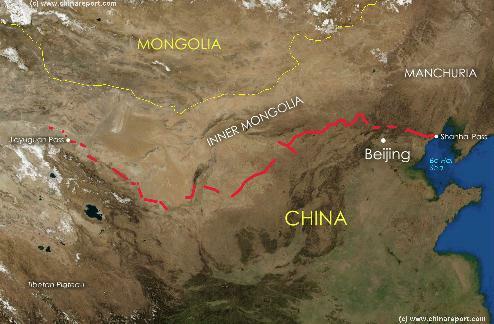 A Listing of maps of China and Inner Mongolia AR, Mongolia as well as relevant subjects such as the (historic) Silk Road, the Great Wall of China, etc. 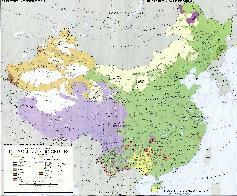 Maps of Mongolia and China (P.R.C.). 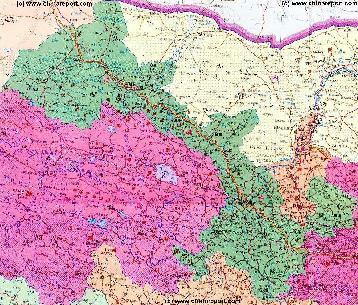 A Schematic overview Map of Gansu Province entire delineating provincial borders and Main Landscape Features in Gansu and parts of neighboring Xinjiang AR and Qinghai Province in the West, Inner Mongolia AR and Ningxia Province in the North, Shaanxi Province to the East and Sichuan Province in the South. 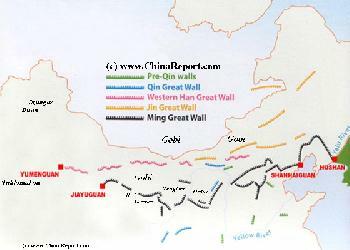 Includes Cities and Towns (shown by size), Main Monuments & Landmarks of Gansu Province, the flow of the Yellow River along the borders through Sichuan, Qinghai, Gansu and Ningxia Provinces, BingLing Si, Mogao Caves and Maiji Shan UNESCO World Heritage Sites, Deserts, Mountains (with Height), major highways, provincial railroads and main railroad-stations, and waterways & rivers. 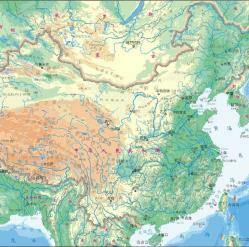 This Map further provides links to on site photos and information on the Cities and Monuments. 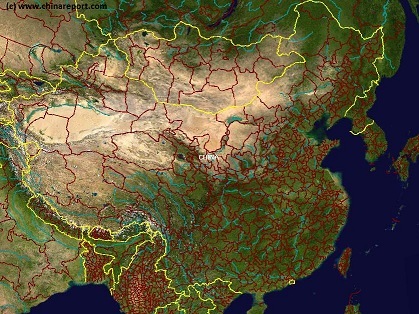 A Satellite Image Map of the better part of East Asia focussing in the Peoples Republic of China and the Republic of Mongolia. 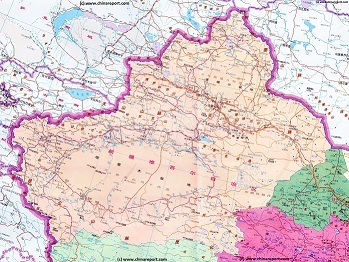 Map depicts all Prefectures within the Peoples Republic of China as well as the Provinces (Aimag) of the Republic of Mongolia. 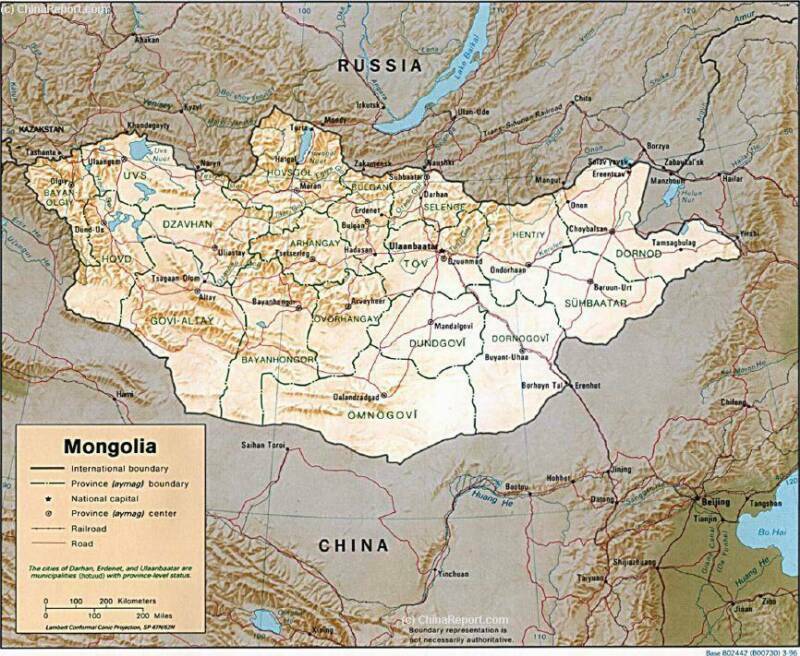 Further included are parts of neighboring nations of Kyrgyzstan, Kazakhstan, Tuva Republic, parts of Siberia and the Russian Federation, both Koreas (North and South), southernmost Japan, Taiwan, Northern Vietnam, Laos, the larger part of Myanmar (Burma), Eastern India (including Sikkim and Aranuchal Pradesh), Bangladesh, Nepal, the Kingdom of Bhutan, Bangladesh and occupied Tibet. 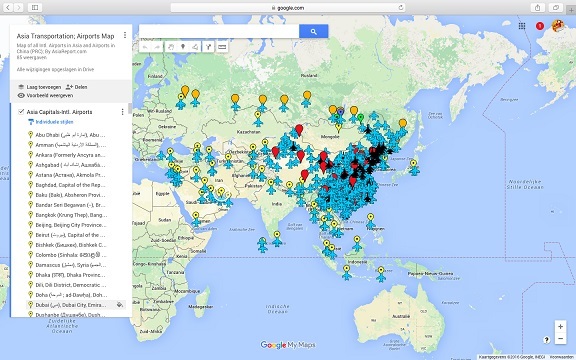 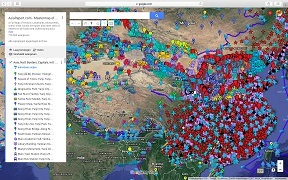 This Google supported Satellite Map provides a clear overview of thePeoples Republic of China, including all Provinces, All Cities and all Counties. 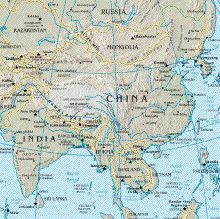 Marked on the map for orientation are main geographical features such as mountains, mountain ranges, rivers, lakes, major National Capitals, locally relevant cities, all county towns and additional villages, names of oceans, islands in the South China Sea. 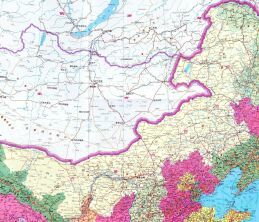 In addition, transport is highlighted with the location of all International and Local airfields, as well as military air bases, nd train stations (where available). 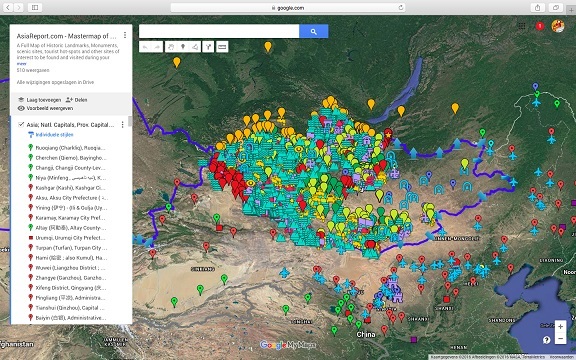 The final layer is reserved for historic monuments, landmarks, tourism locations, etc.